Some people say you should never use good champagne in a champagne cocktail. They say you’ll never taste it. I say use the best champagne you can comfortably afford. Despite the addition of juice, sugar, or other flavoring, your guests will notice the tight, tiny bubbles and yeasty aroma of fine champagne. Place the sugar cube in the bottom of a champagne flute. Add the bitters to soak into the sugar cube. Add the brandy and fill the glass with champagne. 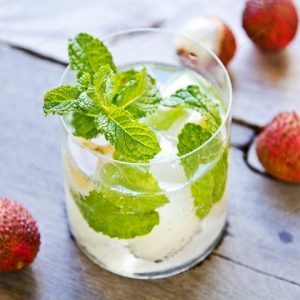 Feel free to comment or share your thoughts on this Champagne Cocktail Classic Recipe from Awesome Cuisine.